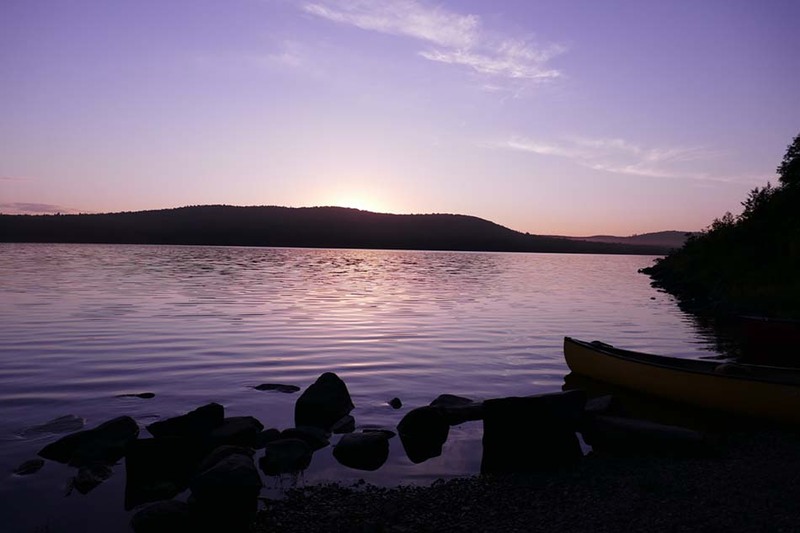 Truly a jewel of the North Maine Woods, the Allagash Wilderness Waterway canoe trip is a nationally recognized must-do wilderness canoe trip for all paddlers. 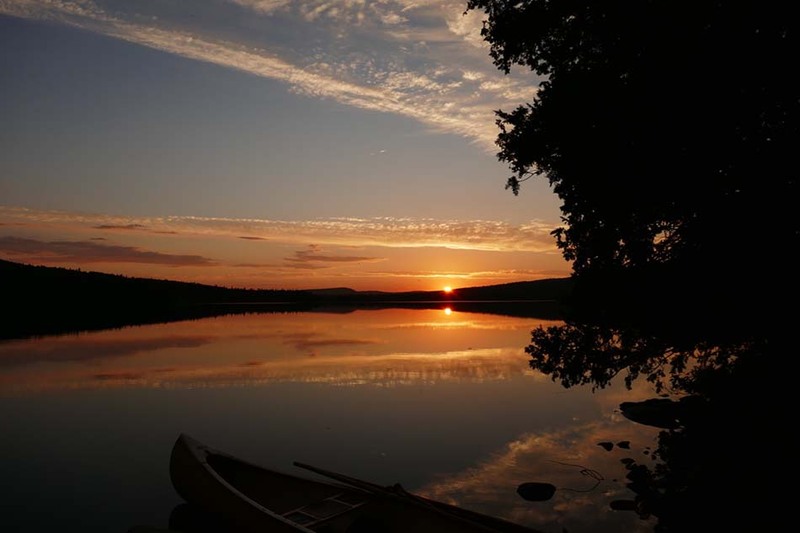 The attraction of the Allagash does not end with its robust forests and abundant wildlife, featuring an immense history dating back to the 1700s, combined with excellent refined primitive campsites, makes the Allagash River one of Maine’s best canoe trip options. 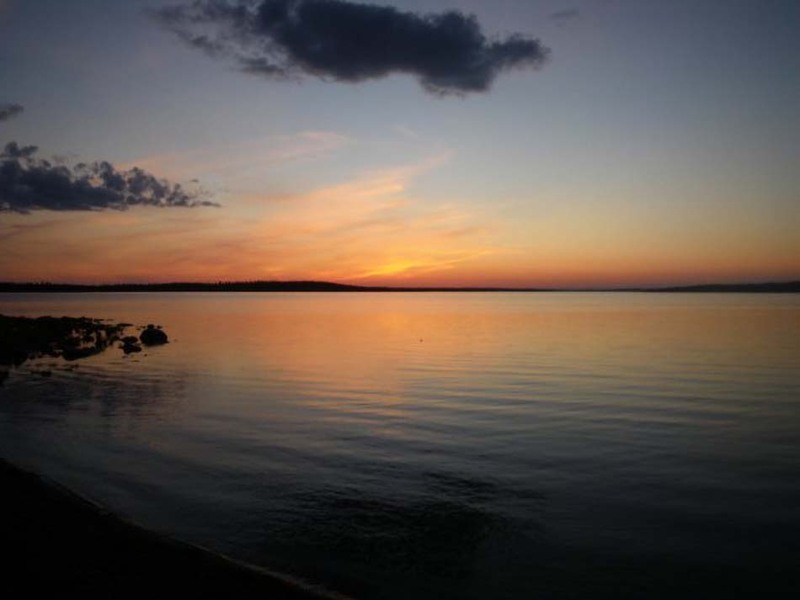 One of the greatest appeals of the Allagash River is its combination of large, glimmering lakes and swift moving river. 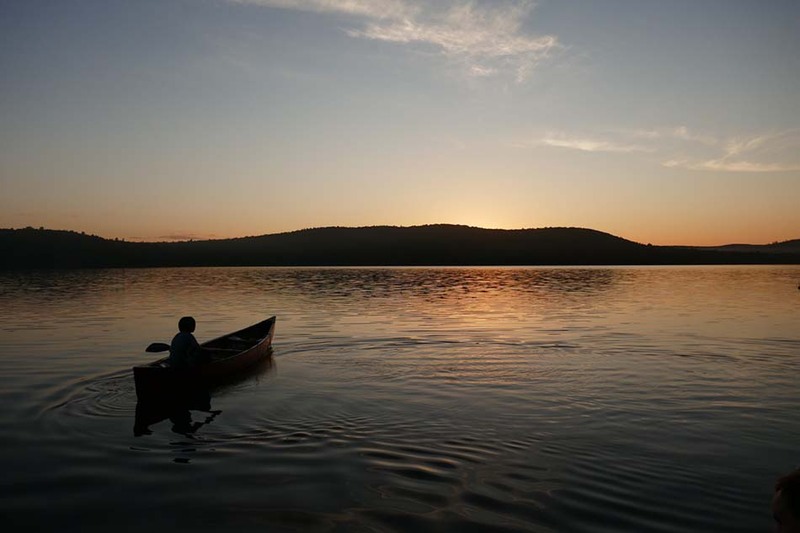 Sourced by some of the largest lakes in Maine, including Chamberlain Lake, Eagle Lake, and Churchill Lake, allow for many options of multi-day canoe tripping throughout the 102-mile waterway that is today managed and maintained by the State of Maine as a heritage river. 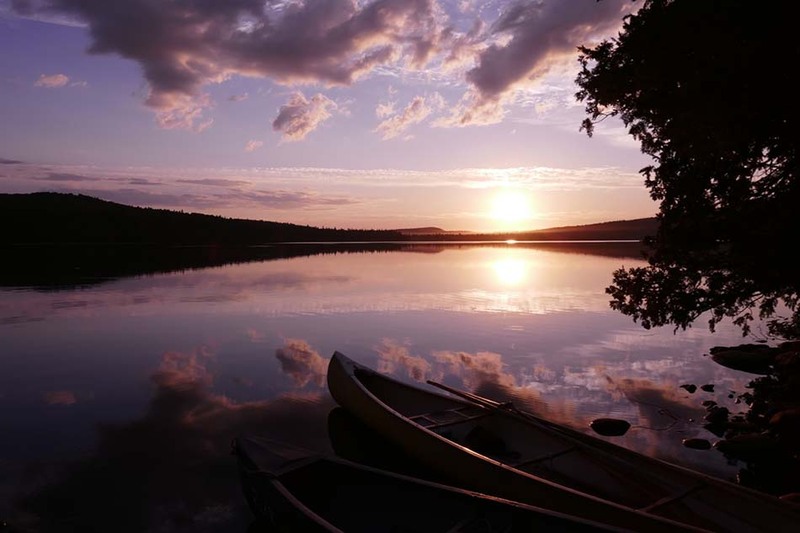 Most trips on the Allagash River encompass the opportunity to paddle some of the largest lakes in Maine where travelers will be awe-struck by the pristine, clear waters underneath their canoes. 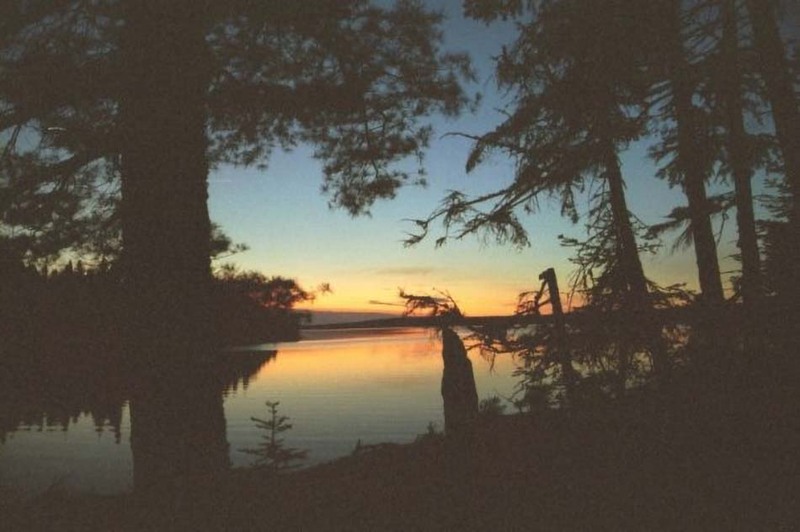 Stands of timber stretch as far as the eye can see and the majestic call of the native loon is often heard at night. 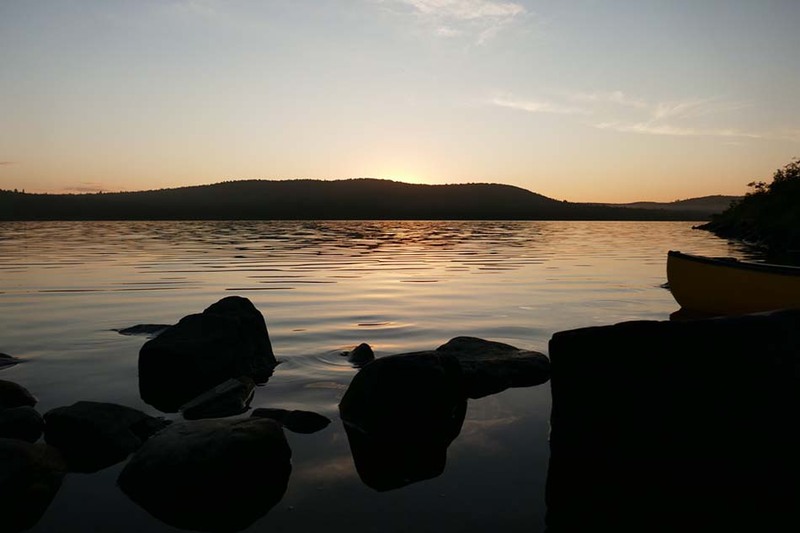 Many campsites on the lakes of the Allagash Wilderness Waterway feature excellent swimming, sand beaches, and tremendous fishing. 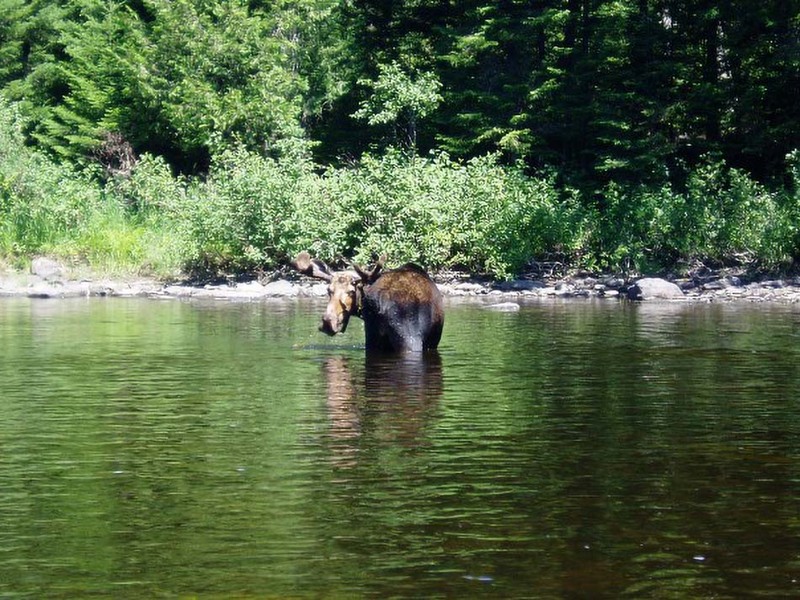 The river portion of the Allagash allows some of the best wildlife viewing opportunities in Maine. 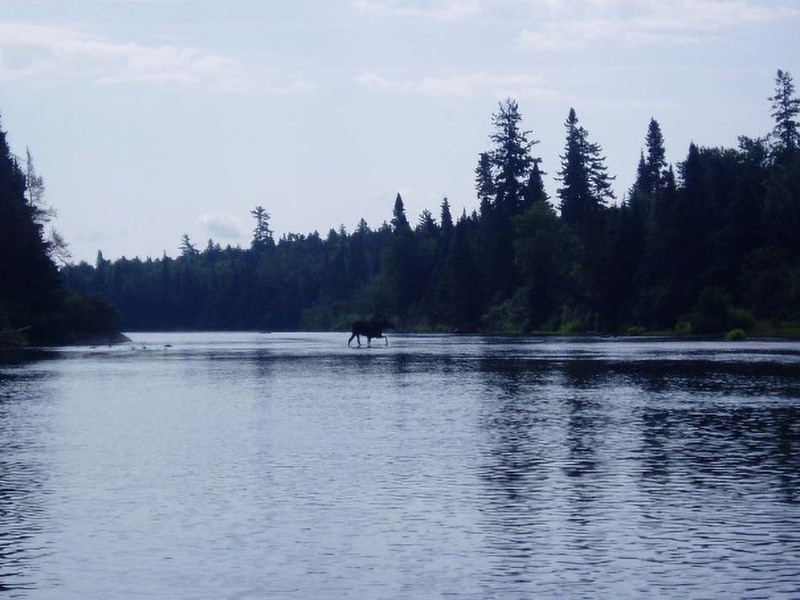 Moose and deer are abound (it is not uncommon for groups to have the chance to see 10- 20 moose on a full Allagash River trip.) Bear are also sometimes spotted, along with the more common American Bald Eagle, beaver, duck, and osprey. 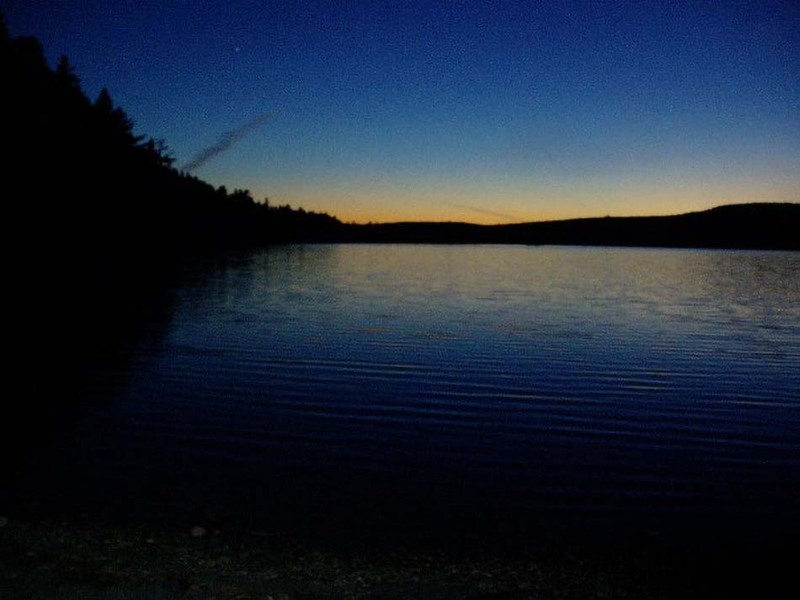 The loon, a hallmark of any North Maine Woods experience, is also a very common sight and can be heard most nights, particularly while on the larger lakes. 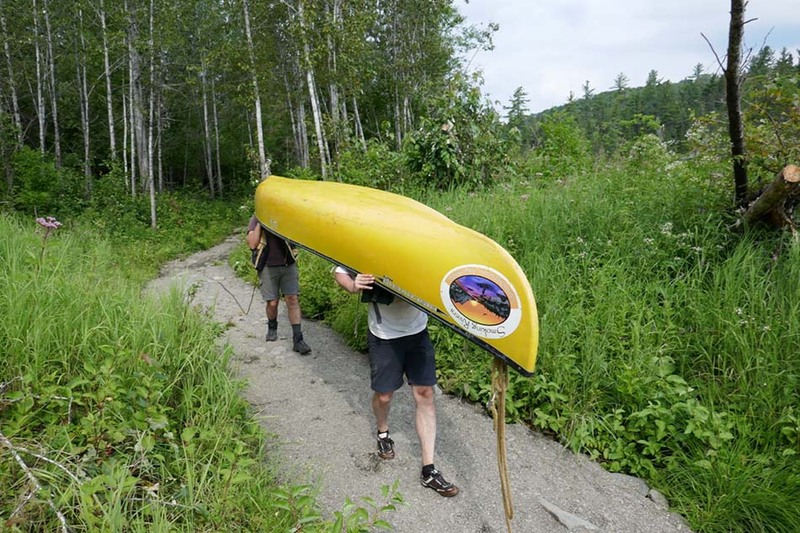 Along with the Nile river in Egypt the Allagash is One of only a handful of rivers in the world to run due north, making it a destination by canoeist worldwide. 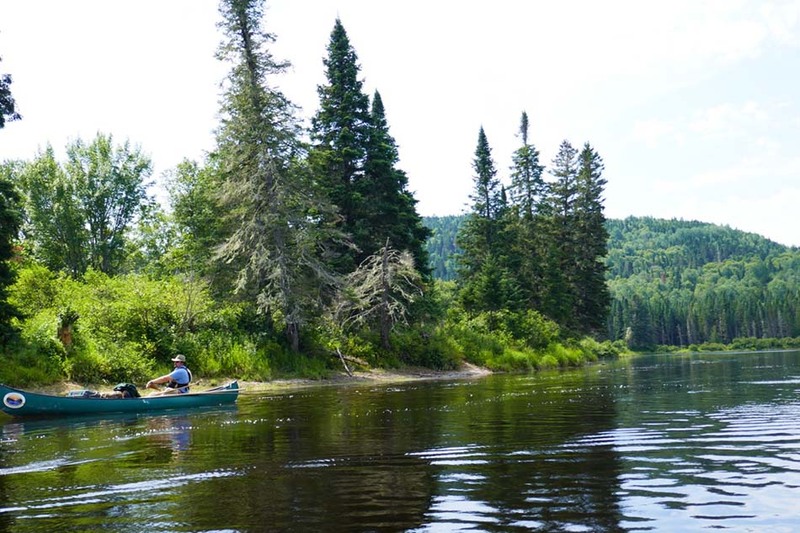 The Allagash’s early popularity with guides and sports alike dates back into the early 1800’s and is also a path traveled by Henry David Thoreau, and was the first river to be designated and protected as a Wild & Scenic River in the United States. 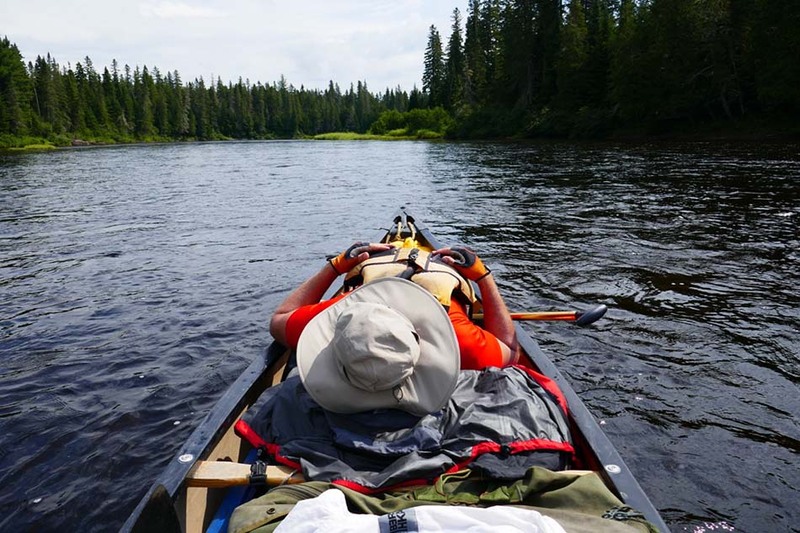 Due to its early designation, the Allagash River maintains nearly all of its rugged and wilderness allure, making it one of the most unique and popular multi-day canoe tripping rivers in the United States. 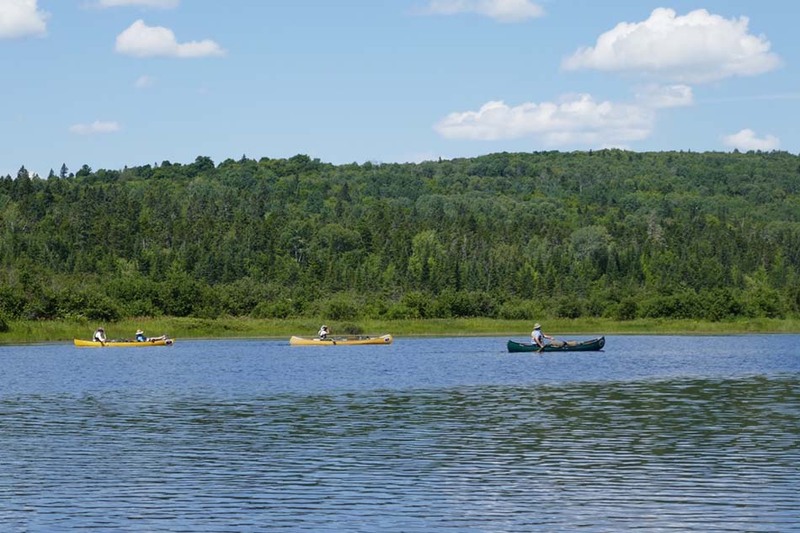 While the Allagash River features flatwater paddling, its true allure is found in the river sections.The river itself begins at the outlet of Churchill Lake, where paddlers encounter a small dam and then the famed-Chase Rapids. 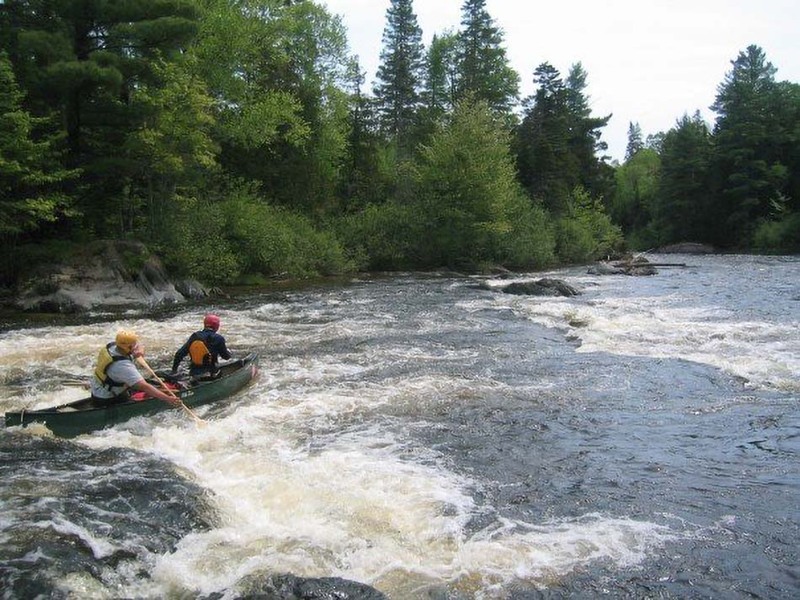 Featuring 9-miles of nearly continuous Class I-II whitewater, where our Guides provide expert instruction and leadership to negotiate the fun and challenging whitewater. 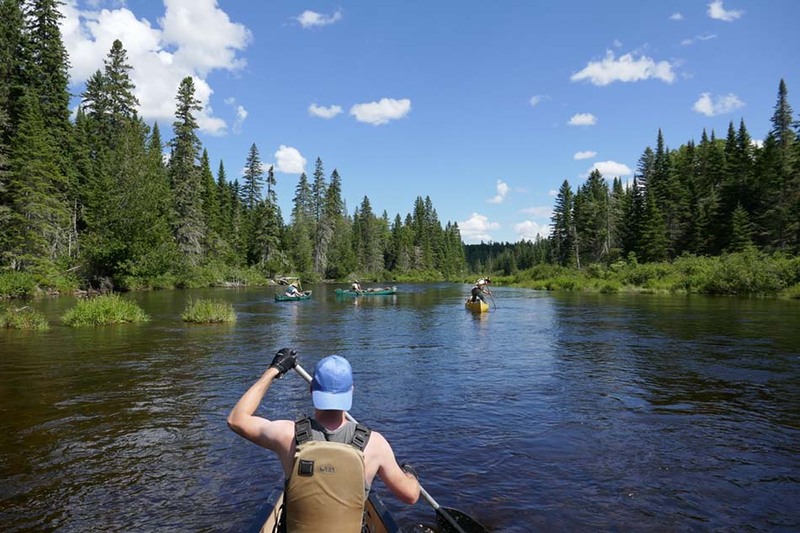 Amateur and veteran paddlers alike will enjoy the feel of rushing downstream and the pride that comes with successfully navigating a wilderness whitewater river. 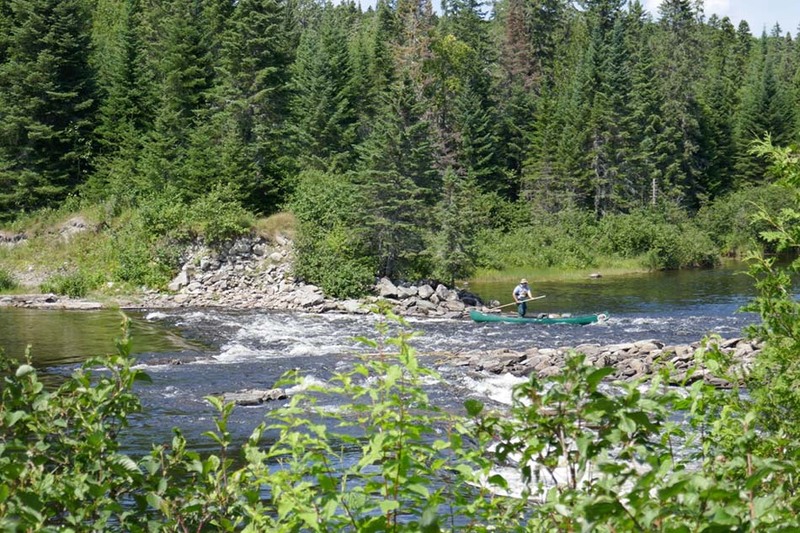 Beyond Chase Rapids, the river slows and enters into Umsaskis Lake which begins the most remote and beautiful part of the river trip. 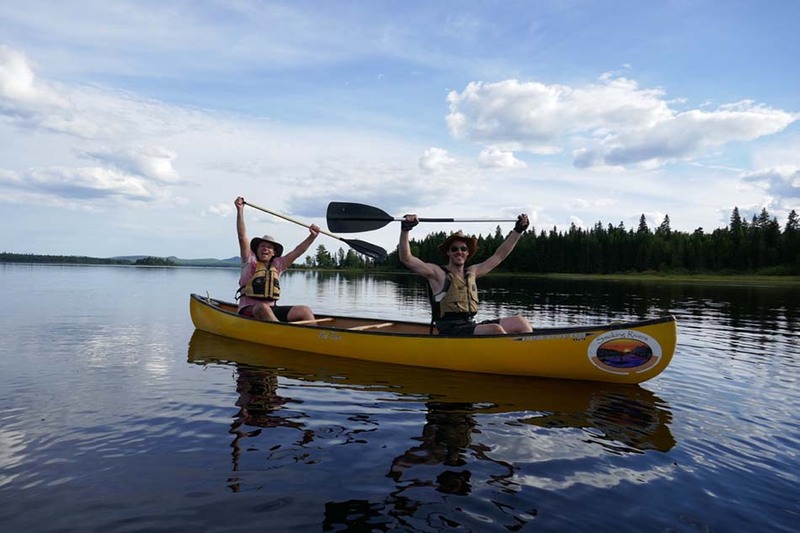 Flatwater and moving river predominate for the majority of the trip to the take-out in Allagash, Maine; sections of beautiful, moving river are interrupted by serene and remote lakes such as Round Pond and Long Lake. 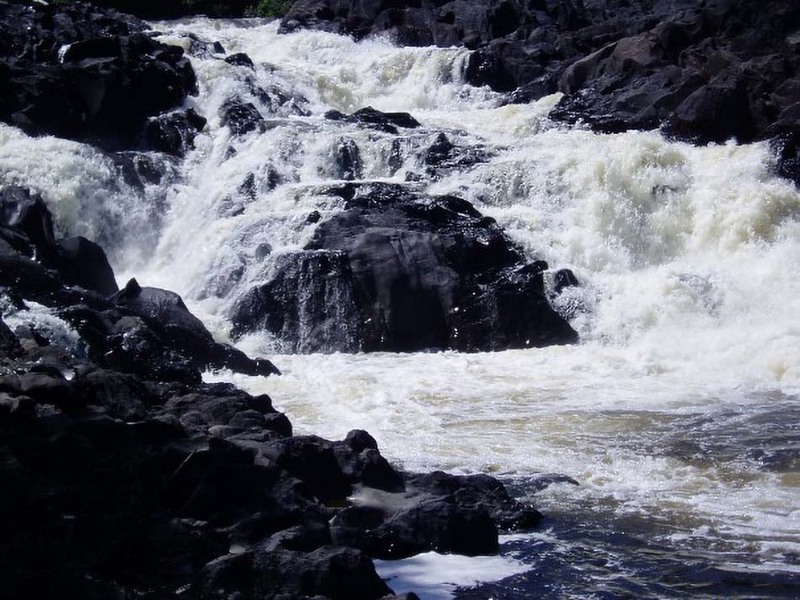 Nearing the end of the trip, Allagash Falls is one of the most memorable locations on the entire Allagash River. 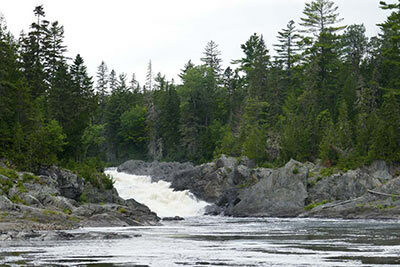 Over 40-feet tall, Allagash Falls is a tremendous crescendo to a great trip and we encourage guests to swim and enjoy the vista at the falls as a final memento of the trip. 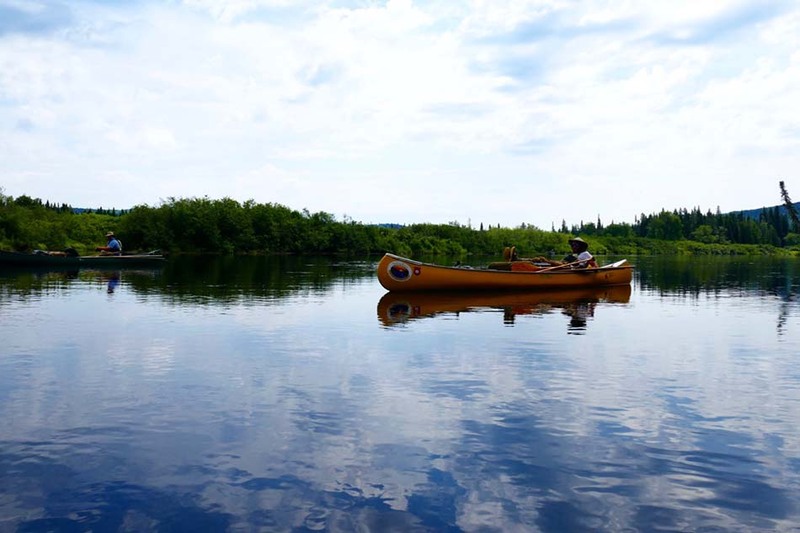 For those guests seeking an even more remote and rugged experience, options exist to begin trips on the Allagash River at Allagash Lake, a pristine wilderness lake that is accessible only by canoe or on-foot. 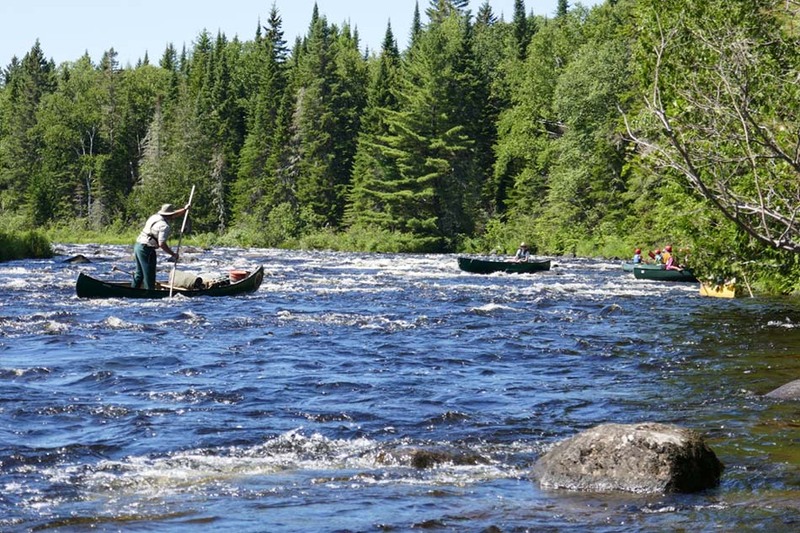 From its beginning at Allagash Lake, Allagash Stream provides an exciting foray into whitewater with numerous Class II rapids that are sure to excite and features excellent fishing for Brook Trout and the picture-worthy Little Allagash Falls. 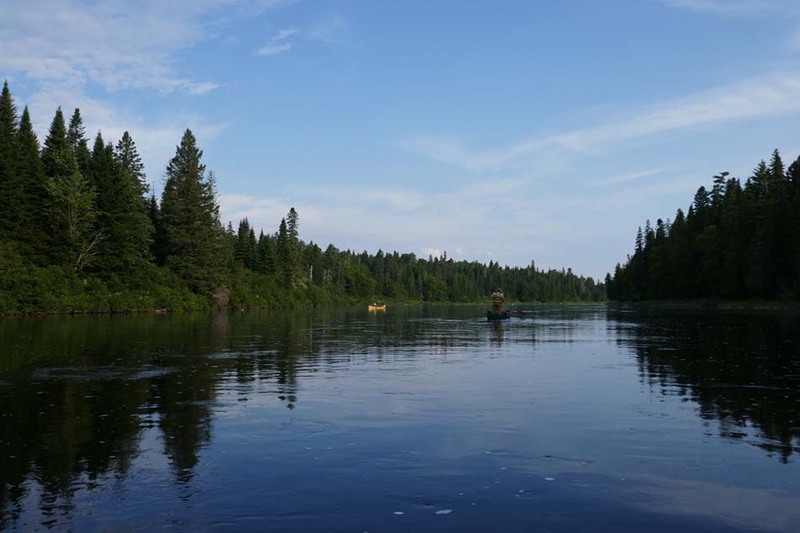 Throughout the Allagash Wilderness Waterway, excellent fishing can be found in nearly every lake, pond, and section of river. 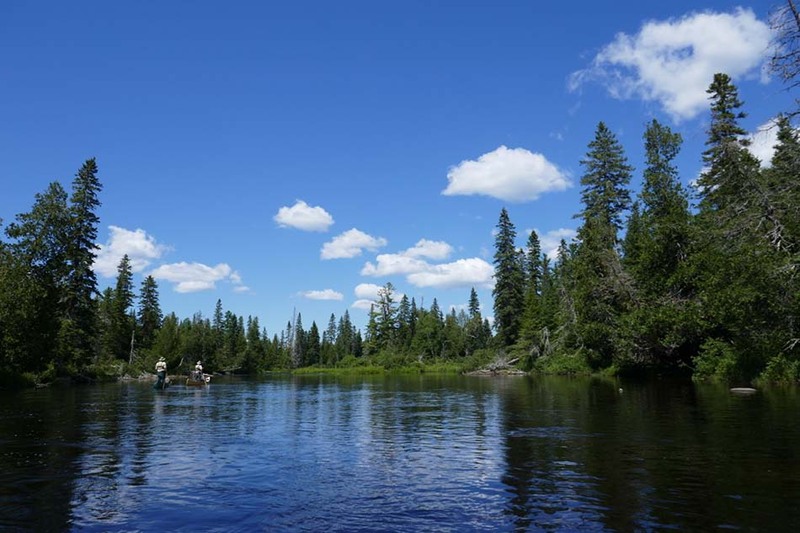 Native Brook Trout are the most desired quarry and guests are encouraged to try their hand at catching this elusive and highly-sought after fish. 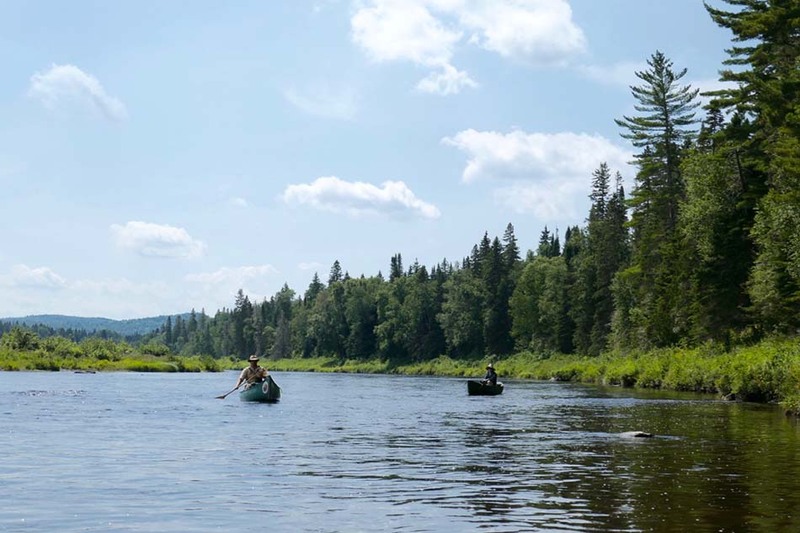 For guests who want to try fishing but have limited experience our Registered Maine Guides will be sure to point out excellent locations and advice on tackle, both before the trip and during the river trip. 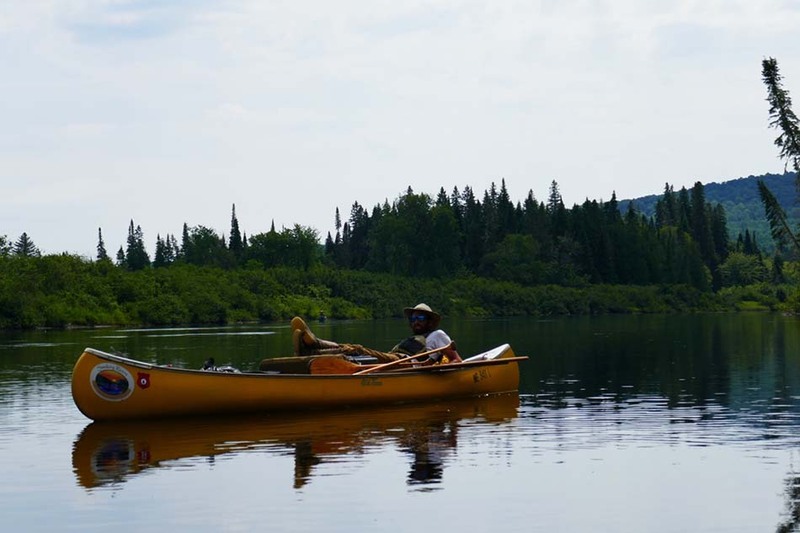 Used for decades as a river to drive timber logs from the dense forest to the ocean, the Allagash boasts an immense history that includes remnants and artifacts that can be viewed on every trip, regardless of length or location. 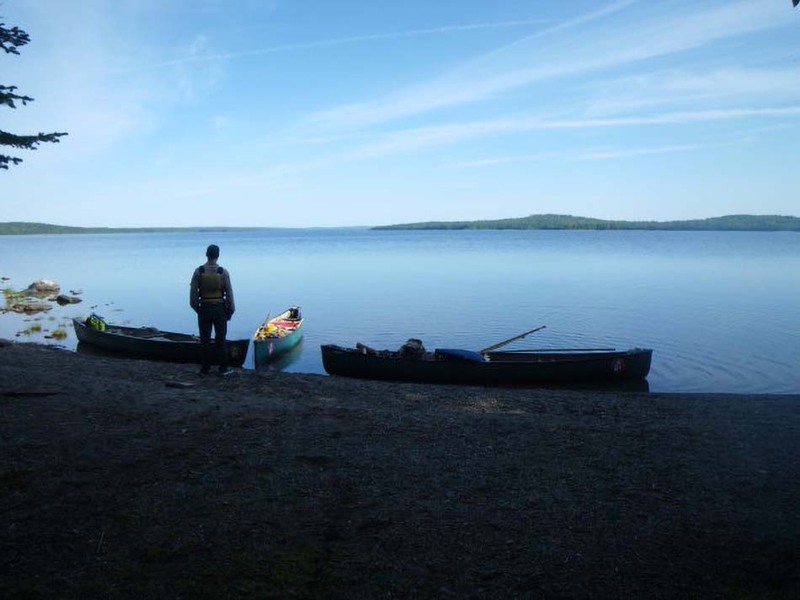 A highlight of many Allagash River canoe trips is a stop at the abandoned locomotives on Eagle Lake. These pair of locomotives, used by the Eagle Lake & Umbazooksus Railroad from 1810-1812, moved logs on a nine-mile circuit between Eagle Lake and Umbazooskus Lake before being abandoned in the dark recesses of the North Maine Woods. 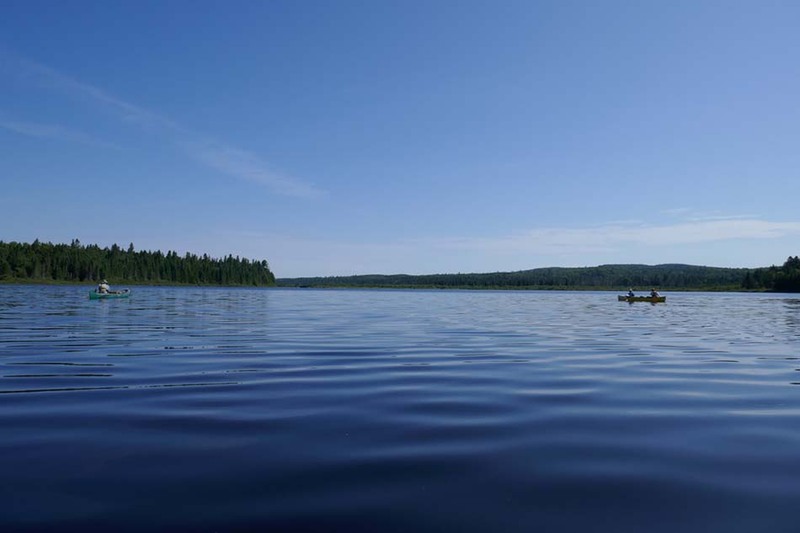 Today, these locomotives remain on the scenic, sandy shores of Eagle Lake and are a popular side-trip for paddlers on our canoe trips, affording the chance to experience the true scale of logging in the North Maine Woods. 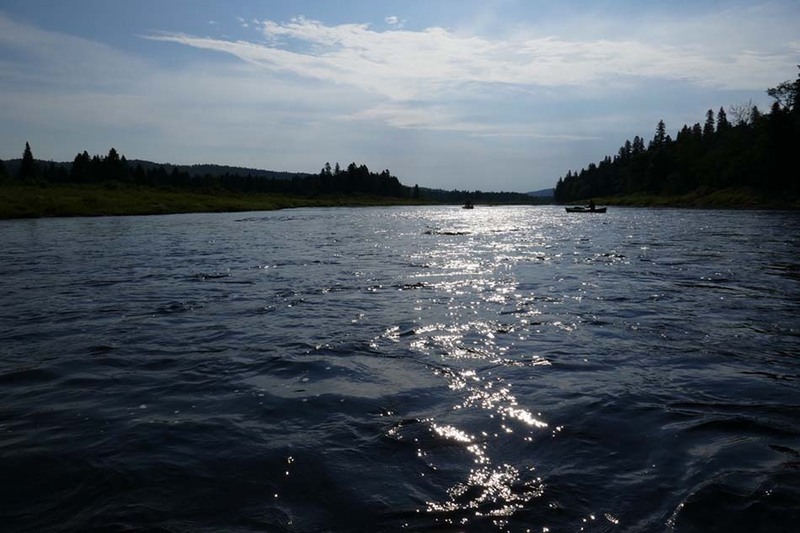 The Allagash River also played a large part in the relatively unknown, yet historically important Aroostook War. Until the end of the Aroostook War, the border of Canada and the United States in Maine was never fully established, leading to American timber, cut and harvested in the United States, being floated north towards Canada. 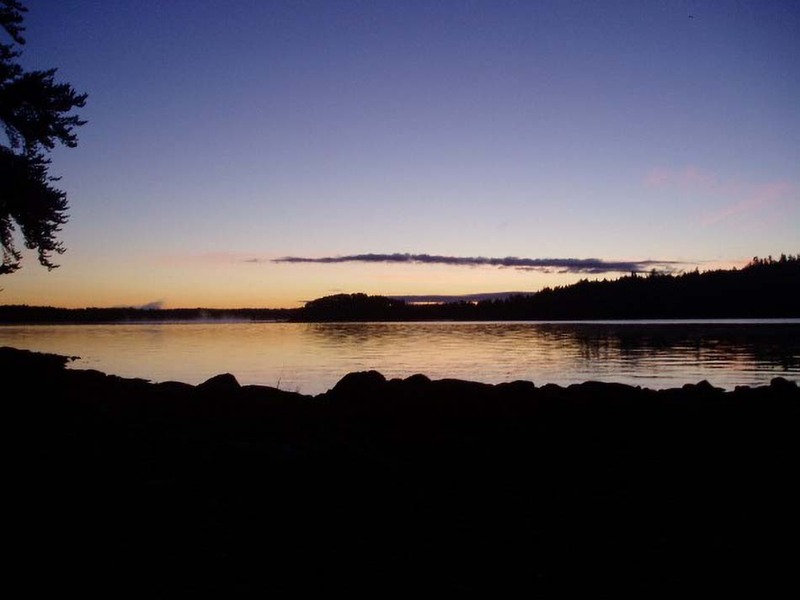 As such, inventive lumberjacks manipulated the flow of the Allagash River to run logs south into the Penobscot River corridor and onto Bangor, Maine. 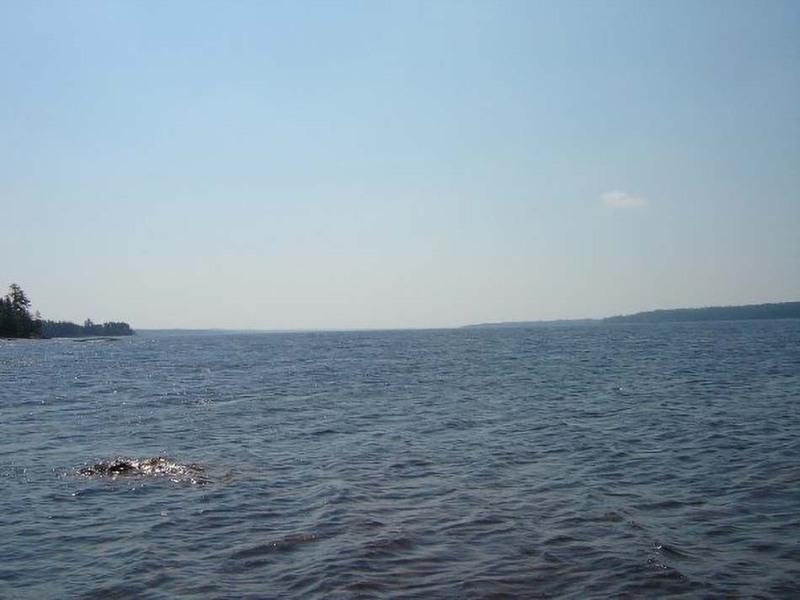 Today, historical remnants of these efforts remain and include the above-mentioned abandoned locomotives as well as Lock Dam on the shores of Chamberlain Lake, which was used to artificially change the level of the lakes to more easily drive logs southward towards Bangor. 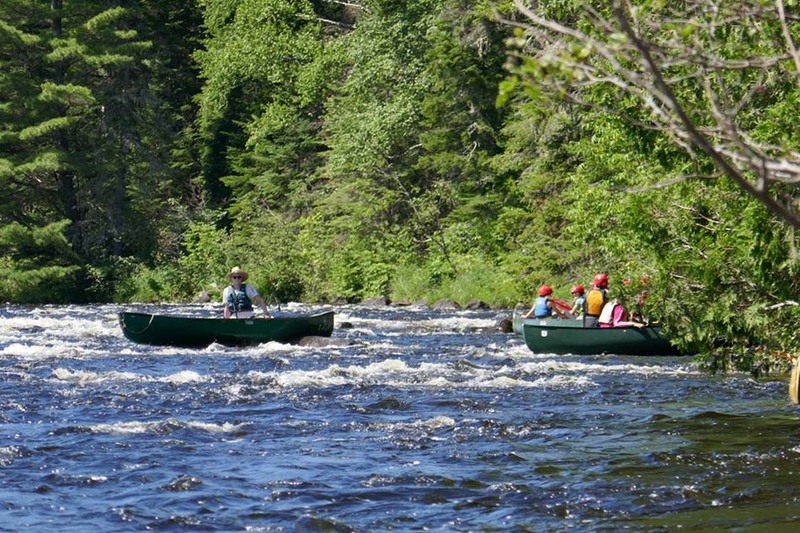 With intermittent whitewater (Class I-II), beautiful campsites, and a multitude of options in terms of days, length, and challenge-level, the Allagash River is well suited for paddlers of all ages and skill levels and is an ideal opportunity for families and friends to experience the North Maine Woods. 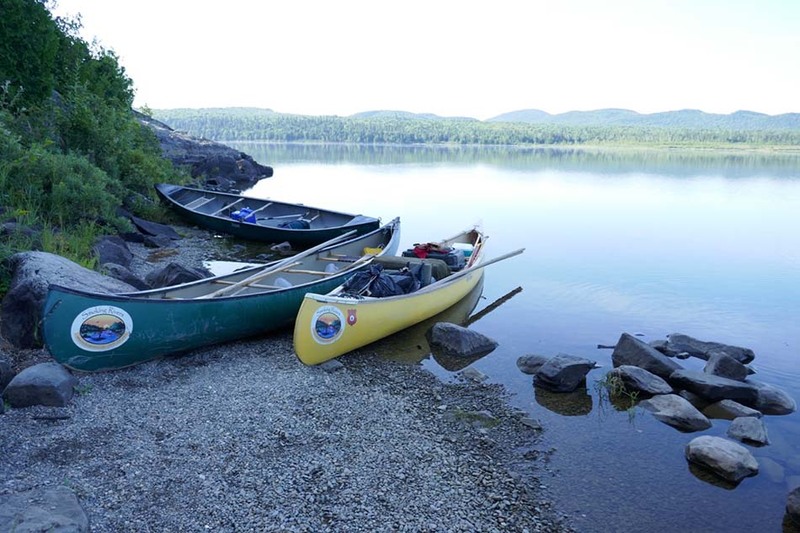 Paddlers on the Allagash River can expect a tremendous experience with our Registered Maine Guides and will be awed by one of the most beautiful and remote canoe-trips available in the United States.